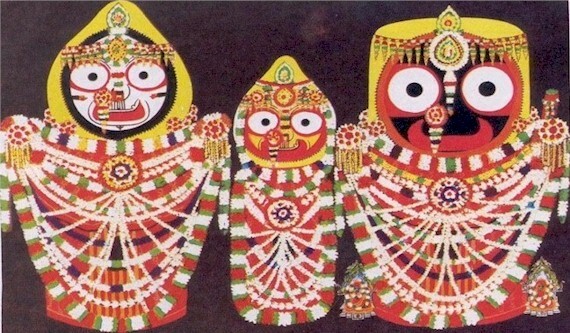 it refers to the 21st Nakṣatra Uttara Āsāḍha which houses 14/15 parts of the intercalary nakṣatra Abhijit which is the seat of Hari (Nārāyaṇa, Jagannāth). The two nakṣatra 20th Pūrva Āsāḍha and 21st Uttara Āsāḍha are parts of the dharma bhāva along with Mūla nakṣatra in Dhanus (Sagittarius) Rāśi. 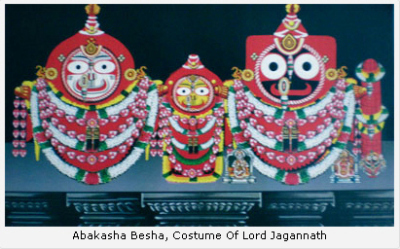 In the lunar month of Āsāḍha, Jagannāth leaves his abode at the temple and travels to the Guṇḍichā (Rādhā) temple in the chariot – the famous Ratha Yatra festival. The 19th nakṣatra Mūla represents the pitṛs and shows root (mūla) dharma coming from father. If father is Hindu then child shall be Hindu at birth; if Christian then child shall also become Christian. This is mūla dharma. The 20th nakṣatra represents the śreṇi-guru i.e. all the teachers and professors of the university where we train for professional life as well as the boss at work who teaches us to become proficient in our karma. This brings professional success. Finally the 21st nakṣatra determines the dīkṣa guru who guides us in the spiritual path to mokṣa. It also refers to the nakṣatra Viśākhā (containing 4 stars in the form of a curve marking the meeting of Libra and Scorpio). It is the power of purity and chastity of a lady. of the foster-mother of Karṇa, the first son of Kunti who was not a Pāṇḍava, the king of Aṅga (modern Bihar). She was the wife of Adhiratha, who was Sūta or charioteer of king Śūra. 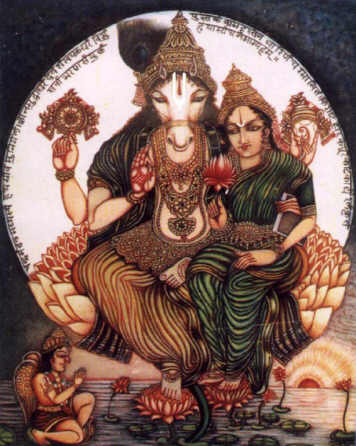 Karṇa was also called Rādhā-suta. Now we can understand why Śrī Chaitanya Mahāprabhu laid so much importance to this Rādhā-Dāmodara Veśa of Lord Jagannāth and was instrumental in reinstalling this veśa as a part of the annual ritual of the Lord. During his expedition to Śrī Kṣetra (Jagannāth Puri) in Odisha in the 16th Century, Śrī Caitanya had this powerful month long ceremony initiated. For an entire ‘Vaiṣṇava’ lunar month, starting from śukla ekādaśī (the 11th day of the bright fortnight) of Aśvina māsa to the śukla daśamī (10th day of the bright fortnight) of Kārtika māsa, the Deities are dressed in this Rādhā-Dāmodara veśa. Dāmodara refers to Bāla-Gopāla (baby Kṛṣṇa) with a rope tied around His waist to prevent the baby from straying (Kṛṣṇa childhood pastimes with Mother Yashoda). It was in this veśa that Kṛṣṇa gave mokṣa to the Arjuna trees as baby Kṛṣṇa was so strong that He pulled at the rope tying Him to the two trees and they fell down! 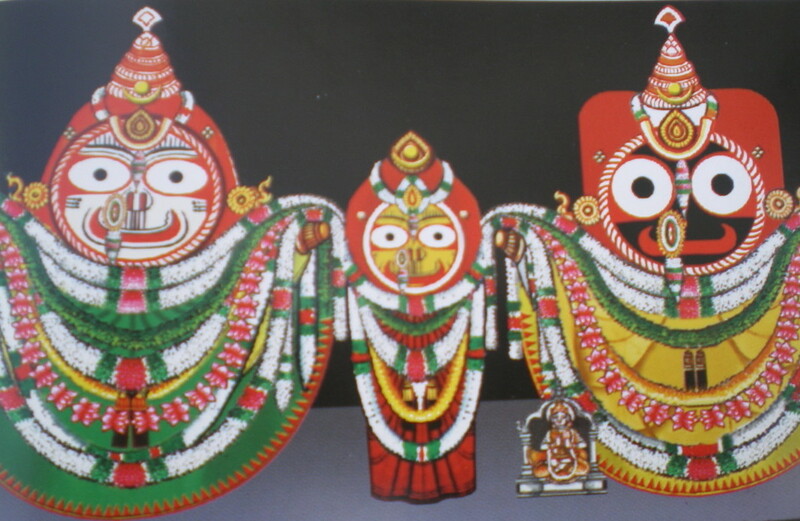 One mythological belief reveals that while Akrura the emissary of Kansa, while taking Kṛṣṇa and Balaram to Mathura, took a bath in River Yamuna, he saw this veśa of Jagannāth. The deities wear three-crossed dress materials in this veśa. They are adorned with Golden hands, Crowns made of bamboo plates and velvet cloth. Māsa is the period of a month and represents the entire living phase from birth to death. At the beginning of the month, the deities are like babies and then grow to adolescence and emerge as youth. Finally old age (vṛddha) and death like stage (mṛta) avasthā envelopes them. What amāvāsya is to the Moon and saṅkrānti is to the Sun, śukla ekādaśī is to Kṛṣṇa. On amāvāsya the Moon is naked and hides inside the trees; the Sun god is changing his clothes on saṅkrānti (implying being without clothes) while Kṛṣṇa is a baby on śukla ekādaśī. Those who worship the Kali fast on amāvāsya and sing the 22 syllable mantra; the brāhmaṇa seeking self-realisation fast on saṅkrānti and sing the 24 syllable gāyatrī mantra; the bhakta seeking union with Kṛṣṇa fast on ekādaśī and sing the 32 syllable mahā-mantra.